Abstract: Tip-enhanced Raman spectroscopy (TERS) exhibits new selection rule and sub-nanometer spatial resolution, which is attributed to the plasmonic near-field confinement. Despite recent advances in simulations of TERS spectra under highly confined fields, a simply physical mechanism has remained elusive. In this talk, I will introduce a recently developed method, namely locally integrated Raman density, to explain the mechanism of single-molecule TERS imaging, which reflects the local sub-molecular density changes induced by the confined near-field during the Raman process. Using this approach we find that the four-fold symmetry of meso-tetrakis(3,5-di-tert-butylphenyl)porphyrin (H2TBPP) TERS images observed in experiments arises from the combination of degenerate normal modes localized in the functional side groups rather than the porphyrin ring as previously considered. Bio: Dr. Chen is an assistant research professor working with Prof. Lasse Jensen at Pennsylvania State University (PSU). She received her Ph.D. in theoretical chemistry from Royal Institute of Technology (KTH) in Sweden. After doing a short time postdoctoral research at KTH, she joined Prof. Lasse Jensen group as a postdoctoral scholar in 2013. 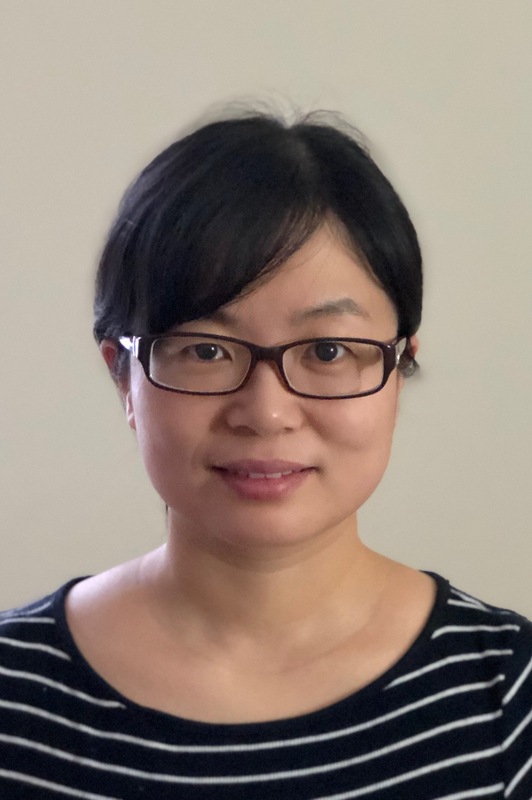 Her research interests are mainly focused on the method development for investigating the plasmonic response of metallic nanoparticles in quantum size regime and mechanism of plasmon-enhanced spectroscopy in extremely confined near field. 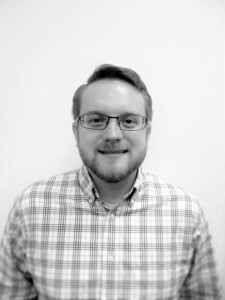 Bio: Peter Stevenson is a fourth-year Chemistry PhD student from Prof. Jennifer Shumaker-Parry’s research group at the University of Utah. His work focuses on the fabrication and far-field characterization of chiral plasmonic nanostructures—particularly in response to orientation dependencies. These efforts have laid the groundwork for plasmon-mediated enantioselective photochemical detection which is the current focus of his research. He received his BS in Chemistry from BYU-Idaho and worked in R&D in the polymer industry before graduate school.